The retail apocalypse has been well documented. Major chains have had to close stores, lay people off and even go out of businesses entirely. And small retail businesses may have it even harder. But retail businesses aren’t completely a lost causes. 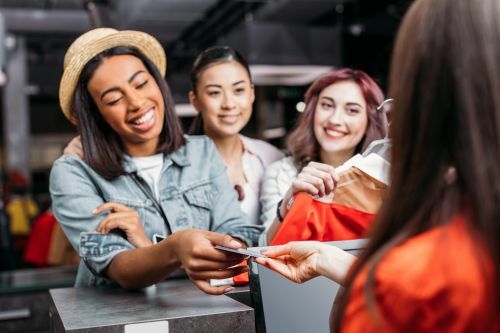 There are ways to make your retail business stand out and potentially save it from extinction, if you’re willing to rethink the customer experience and get a little innovative. Brian Solis gives an overview of the top trends that retail businesses can use to survive and thrive in today’s environment. Here’s a breakdown of some of the main points. 1. Use human perspective to shape your future. Basically, you can consider trends and technology all you want. But if you want the shopping experience at your business to appeal to your customers, you need to relate to them on a human level and put yourself in their shoes. If you can come up with some common sense changes, even if those changes integrate new technology and trends, you can make the experience better for actual customers. 2. Cater to on-demand consumers. Today’s consumers want their purchases immediately and in the most convenient way possible. So retail outlets need to discover ways to get their products to customers with the fewest barriers possible. 3. Compete for customer experience. This doesn’t just mean customer service. It means the end-to-end experience that the customer has when dealing with your business. So you need to come up with ways to stand out and make the entire process as seamless as possible. 4. Become payments agnostic. Mobile payments and other high tech options have recently gained popularity with some consumers. If you can create an environment where all forms of payment are accepted, you can eliminate some potential roadblocks for customers. 5. Understand social commerce. Social commerce is mainly centered around connecting social media and shopping. And retail stores can utilize this idea to increase business by encouraging shared experiences and reviews online. 6. Invest in the trust economy. The trust economy is all about creating transparency and trust between your business and its customers. You can create genuine interactions with customers online and otherwise through content and more. And you can even utilize user generated content and reviews or referrals from other customers to create more trust. 7. Balance webrooming and showrooming. When customers come into your store to look at products, but then look for the same products cheaper online, it’s called showrooming. But when customers research products online and then go find that product in a store so they can get it right away, it’s called webrooming. Both concepts are popular with different shoppers. So your business should be prepared for customers who want to compare information or prices from both online and retail sources. 8. Blur the lines between digital and brick and mortar shopping. Because of the ways customers interact with online businesses and content, it’s important for retail stores to utilize new technology to blur the lines between retail and online shopping to make the experience as seamless as possible. This can also provide more options for customers who simply have different shopping preferences. 9. Cater to mobile customers. Many customers are turning to their mobile phones first when shopping. And some are only using their mobile devices. But technology like beacons can help you gather data and more effectively communicate with those mobile customers to create a more seamless experience for them. 10. Discover new competition and possibilities. Because of the constantly changing technology and trends out there, retail businesses need to constantly be on the look out for new possibilities and new forms of competition. There might be a new disruptive technology tool out there that competitors are using to create a better experience. And your business needs to be open to solving that problem in a new way. 11. Reimagine your space. Instead of simply adding in new technology or methods to your existing model, it might be a better route to reimagine the journey as a whole. Start from scratch and think about how to create the best customer journey from start to finish. Try the five cost-effective techniques in this article and see the real improvement in your retail sales. Are sales slowing down? Have you had a rough month, quarter or year? While a lot of people are claiming that brick and mortar is a dying business model that's quickly being replaced by e-commerce, this simply isn't true. Your lack of sales has less to do with larger industry trends than it has to do with store-specific issues. Correct these issues and you should be just fine. Thankfully, boosting retail sales doesn't have to involve steep discounts or costly marketing campaigns. With just a few inexpensive techniques, you can give your retail business the jolt it needs to meet sales goals and bolster your bottom line. We've all walked into a store looking for one specific item only to leave with three or four things that we didn't really need. In most cases, this behavior is rooted in impulse shopping. "The simplest explanation is that some people just derive an enormous amount of pleasure from acquiring something new," consumer behavior psychologist Philip Graves says. "The act of buying is an act of empowerment that may be felt all too rarely in other aspects of life." As a retailer, you can significantly increase your sales by encouraging impulse buys. The easiest way to do this is by lining up cheap, sensory items in the checkout queue. While customers are waiting, they'll naturally toss things in their shopping carts. Once you have a customer in the ready state of mind to purchase one product, it's much easier to encourage them to purchase more. One strategy is to have your salespeople push add-ons. These add-ons can come in the form of a discount or special sale, or they can be full-price add-ons if your salespeople are really persuasive. For example, let's say you're selling a customer a digital camera. In addition to the camera, you could push things like camera cases, memory cards, batteries and extra lenses. Suddenly, instead of just selling a camera for $199, you're selling three or four items for $300. Your sales numbers are directly correlated to the level of foot traffic inside your store. It's an elementary concept, but sometimes basic logic goes out the door when you're struggling to meet sales goals. If you want to increase sales, get more people in the door. You can use any number of strategies to get people inside, but it all goes back to grabbing your customers' attention. Try designing clever window displays, placing inventory outside, or having a personable salesperson stand outside and welcome people in. Whatever you can do to get people inside will increase your chances of driving up sales. If you're looking for cheap ways to drive sales, you probably aren't keen on the idea of using a lot of coupons. However, there is one type of coupon – known as a future-use coupon – that has a low cost and a high return. As the name suggests, future-use coupons are coupons you give to customers at the time of purchase that are valid for future purchases. The great thing about these coupons is that only a small percentage of people will ever redeem them. So while you may get 15 people to make a purchase because of the coupon offer, only four or five will ever take advantage of the offer at a later date. This allows you to maximize their value.